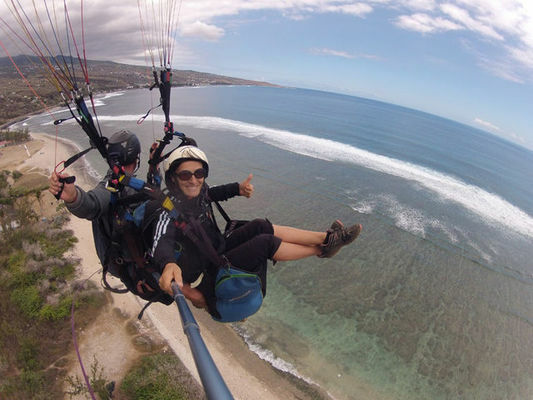 Modul'Air offers an introduction to paragliding.Tailor-made welcome in a friendly atmosphere. Flight over the lagoon. Choose between tranquility and rush of adrenalin.Take the control of the paraglider or let yourself be guided. The sky of Saint-Leu is ready to offer you one of the most wonderful trips ! Flights 7 days a week upon reservation.